1. Heat a medium sized pot over high heat. 2. Add the chicken stock and wood ear fungus. Bring to a boil. 3. Add the shredded chicken pieces and bring to a boil again. 4. Reduce flame to medium and cook for 10 minutes. 5. Add fish sauce, salt and black pepper powder. 7. Add the noodles and simmer for a minute. 8. 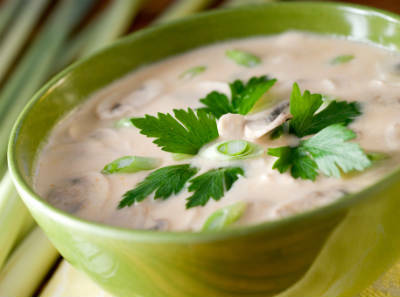 Remove from heat and pour into individual serving bowls. 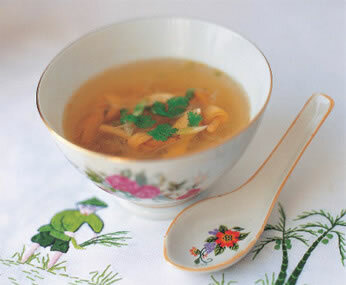 Feel free to comment or share your thoughts on this Glass Noodle Soup Recipe from Awesome Cuisine.